In the texts unanimously adopted by the Synaxis of Primates of the Orthodox Churches (Chambesy-Geneva 21st-28th January 2016) there are a few points in need of further revision and correction. Of course, in agreement with the Regulations of Organisation and Working Procedure of the Holy and Great Council of the Orthodox Church (article 11), amendments, corrections and additions to the texts in question may be made during discussions on each subject at the plenary session of the Council, following the formulation of proposed amendments, corrections or additions. This means that every Church, and also our Church, has the right to have opinions and a vote on each subject addressed in the texts and which will be discussed. It thus gives freedom for each view to be expressed, and we as Hierarchs are obliged to do so. However, if the necessary changes are not made, a theological and ecclesiological double-speak will prevail in this particular text, one which is inappropriate for synodical texts and thus also for texts of the Holy and Great Council. The title of the text, “Relations of the Orthodox Church with the rest of the Christian world,” is correct because it uses precise terminology, with “the Orthodox Church” on one hand and “the rest of the Christian world” on the other. Furthermore, many expressions in the content of the text confirm the title, such as “The Orthodox Church, being the One, Holy Catholic and Apostolic Church, in her profound ecclesiastical consciousness” (article 1), “with those separated from her, both far and near” (article 4), “those who are external to her” (article 6). However, other expressions present in the text, that “the Orthodox Church acknowledges the existence in history of other Christian Churches and confessions which are not in communion with her” (article 6) need to be brought into harmony with the title in order for this double-speak not to remain. The same should also happen with respect to other passages. The passage which speaks on the unity of the One, Holy Catholic and Apostolic Church is right to state that “the Unity of the Church” (Orthodox Church should be added here) “is impossible to shatter” (article 6), because as it again rightly stresses “the responsibility of the Orthodox Church and her ecumenical mission with regard to the unity were expressed by the Ecumenical Councils,” which “in particular, stressed the indissoluble link existing between true faith and the sacramental communion” (article 3). However, other passages in the text, which imply that the unity of the Church has been broken and that there are attempts to recover it, need to be corrected. The statement that the Orthodox Church participates in theological dialogues “are aimed at seeking the lost Christian unity on the basis of the faith and tradition of the ancient Church of the Seven Ecumenical Councils” (article 5), indicates that what is said elsewhere, that the unity of the Church “is impossible to shatter” (article 6), is not true. This passage therefore needs to be corrected lest the decisions of the Holy and Great Council appear to contain double-speak, that it does not provide clear teaching, but leaves “open windows” for other interpretations. 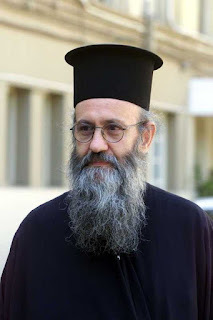 “The prospects for conducting theological dialogues between the Orthodox Church and other Christian Churches and confessions shall always be derived from the canonical criteria of established Church Tradition (canon 7 of the Second Ecumenical Council and canon 95 of the Quinisext Ecumenical Council)” (article 20). Canons 7 of the 2nd Ecumenical Synod and 95 of the Quinisext Ecumenical Council are concerned with the manner in which heretical parties at that time were to be received into the Orthodox Church, by exactness and by economy. The 95th Canon of the Quinisext Ecumenical Council, which repeats the 7th Canon of the 2nd Ecumenical Council, stipulates that the Eunomians “who were baptised with one immersion” should be rebaptised. Montanists and Sabellians “who consider the Son to be the same as the Father, and are guilty in certain other grave matters, and all the other heresies” are also to be rebaptised. There is clearly cause for rebaptism whenever there is baptism by single immersion, identification of the Father with the Son and other heresies. It is obvious that what is written in Article 20 of the text prepared for adoption by the Holy and Great Council, is an effort to implicitly withdraw this edict of the Three Patriarchs, which rests on the entirety of ecclesiastical tradition. As mentioned above, from the 8th century onwards, there were introduced into Christian Confessions the heresies of the Filioque and actus pursus, as well as the improper baptism of the “Roman Catholics” by pouring and sprinkling following the Council of Trent, as well as various heretical views in other Confessions. In this text there are a few expressions which, although widely used by Orthodox, come from modern existentialist philosophy and German idealism. In the final text signed at Chambesy-Geneva (21st – 28th January 2016), some improvements were made to the text produced by the 5th Pre-conciliar Pan-Orthodox Meeting (10th – 17th October 2015), but there nonetheless remained a few expressions which speak of the “value of the human person” and are in need of further improvement. The text rightly makes reference to St. Gregory the Theologian, Eusebius and St. Cyril of Alexandria who speak about the value of the human being and not the human person. Likewise, mention is made of the “protection of the value of the human being” (1, article 2), “God’s plan for man” (1, article 1). But there remains in the final text a few expressions from the older text, such as “the value of the human person” (1, article 1), “the general recognition of the lofty value of the human person” (1, article 3), “the notion of the human person” (2, article 3). The text therefore needs to be made uniform so that wherever mention is made of “human person” this is replaced by the word “human being”, which is understood by all. “One of the loftiest gifts of God to the human person both as a concrete bearer of the image of a personal God and as a member of a community of persons in the unity of the human race by grace reflecting the life and communion of the Divine Persons in the Holy trinity, is the gift of freedom” (2, article 1). The paragraph speaks about “communion of Divine Persons,” in that the human race are a “communion of persons” which reflect “by grace… the life and communion of the Divine Persons in the Holy Trinity” and that this “constitutes the gift of freedom”, which is theologically inadmissible because it creates a confusion of the created and uncreated, between the unity of man and the unity of the Triune God. 3. “The holy Fathers used hypostasis, person and individual to refer to the same thing” (St. John of Damascus). Christ is one person who has two natures which were united in His person without confusion, without alteration, without division, without separation. Thus, the person is one and the individual is one. The word individual (atomo) consists of the negative a the word tome, and means “not intersecting nor shared” (St. John of Damascus). This means that although Christ has two natures, they do not intersect in the one Person of Christ the Word. The distinction between person and individual comes from Western philosophy. 4. For man, the Fathers primarily used the term man. And there is a chasmic difference between created and uncreated. Whatever happens with the Triune God, does not happen with man. The theological concept of man is expressed by the term “in the image” and “according to the likeness”, which mean that he is lead towards deification. In certain patristic texts man is spoken of as hypostasis, but always with the theological meaning of in the image and according to the image of God, with the principle of hypostasis (Heb. 3:14). And it is from this understanding that Elder Sophrony also writes, not from the perspective of modern philosophy. 6. The problem, however, is not just the term person used in relation to man, but that the modern theories regarding the “human person” and even the “sanctity” and “dignity of the human person” associate nature with necessity and sin, and person with freedom, desire-will and love. Such ideas are reminiscent of Arianism and Monothelitism, which have been condemned by Ecumenical Councils. 8. Thus, while scholastic theology identify energy with essence, modern personalist theories associate the energy-will with the person and introduce a voluntarist personalism. Since there are all these problems in the text, the term “value of the human person” must be replaced by the term “value of the human being” and all the related expressions need to be corrected. If this does not happen, the entire text will be affected and, more importantly, the probable decision of the Holy and Great Council will be divergent and opposed to those of the Ecumenical Synod from the 4th onwards.